Ctrl + ↑ Shift + ? Note: For above shortcut to work, View > Show inline window should be active. Press Enter to send the screenshot you've taken. 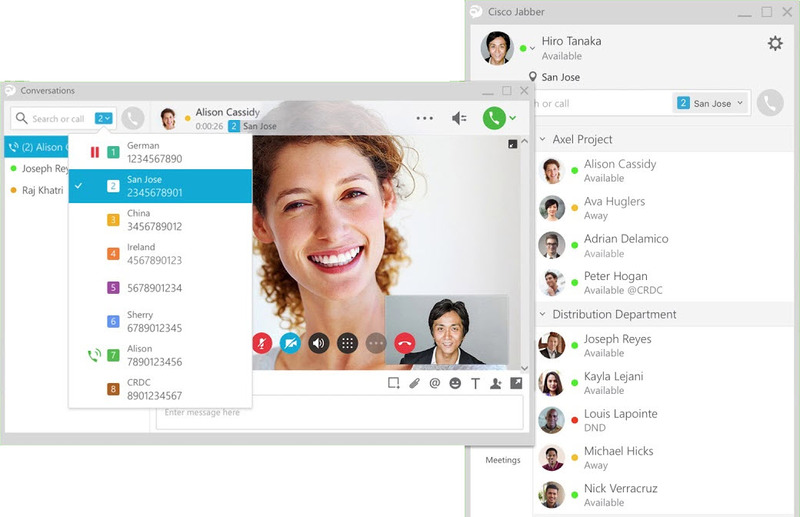 Cisco Jabber is a unified communications application that provides an instant messaging, voice, video messaging, desktop sharing and conferencing platform in a single interface. What is your favorite Cisco Jabber hotkey? Do you have any useful tips for program? Let other users know below. Is there a way to disable keyboard shortcuts? While taking notes on a call, I appear to have inadvertently pressed ctrl + K and ended the call. Thank you. Where are the short cuts to emojis like I can do in Skype or Lync etc?